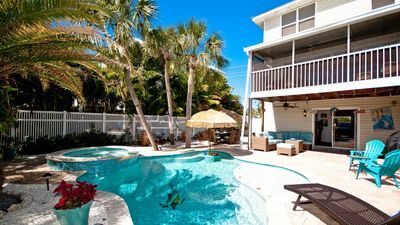 Welcome to the Anna Maria Island vacation rental you’ve been dreaming of! 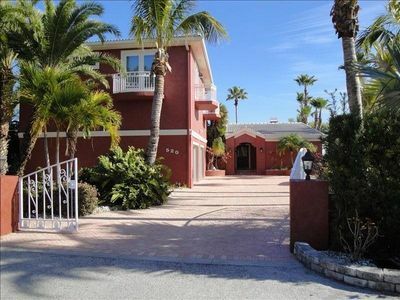 “Costa Lotta” has everything you would expect from a gold rated property plus a fantastic location. When you enter “Costa Lotta” you’ll know you have found the perfect vacation spot for relaxation and island style fun. 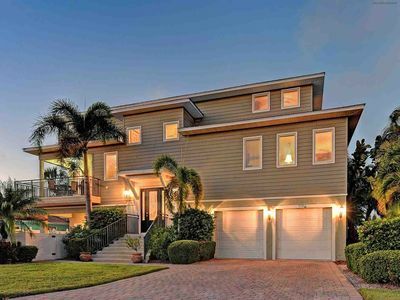 This Holmes Beach rental offers Mediterranean and coastal decor great for an island getaway. 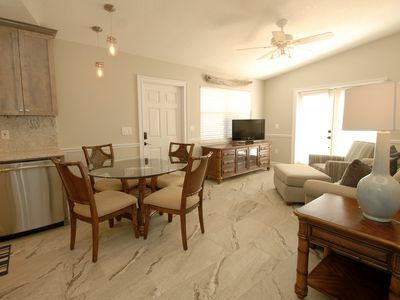 The main living area has a lovely open floor plan perfect for entertaining your group. In the living room you’ll find leather couches while watching flat screen television or enjoying wireless internet. 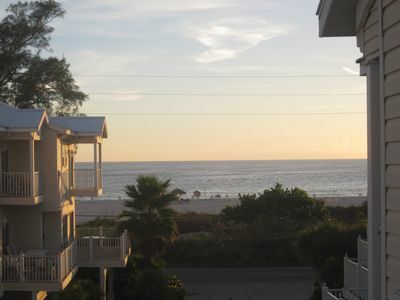 Off the main living level you’ll find a great balcony with peeks of the gulf, a nice seating area and a propane grill. 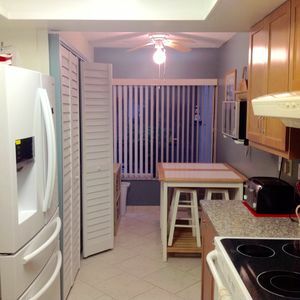 The kitchen at “Costa Lotta” is high end with stainless steel appliances, tons of fridge space, granite counter tops and a wine cooler. Seat four guests at the kitchen breakfast counter for lite snacks or seat all guests in the dining room for more formal meals. 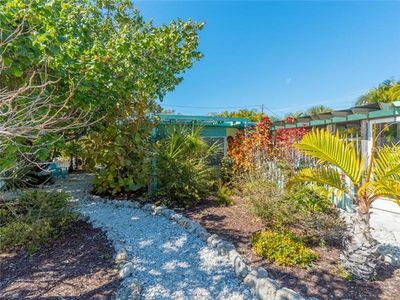 This three bedroom home offers spacious accommodations for up to six guests. 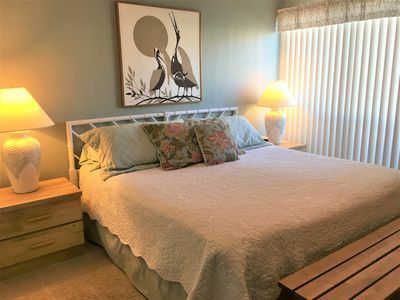 On the main living level you’ll find the master suite with a king bed, flatscreen television and a beautiful en suite with both a tiled shower and a separate bathtub. The additional two guest rooms are on the upper living level. They both offer flat screen television, and en suites with walk in showers. One of the guest rooms does offer an additional day bed, and all of the linens are premium hotel quality. There is a half bath in the main living level hallway. 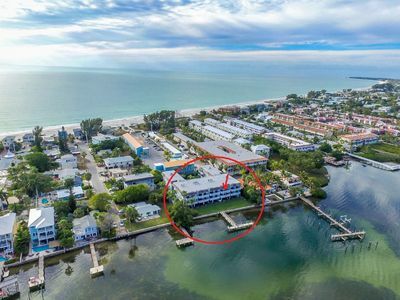 Not only does this beach rental have top of the line finishes and fixtures, but also offers an elevator connecting all floors! Moving groceries and luggage will be a breeze. 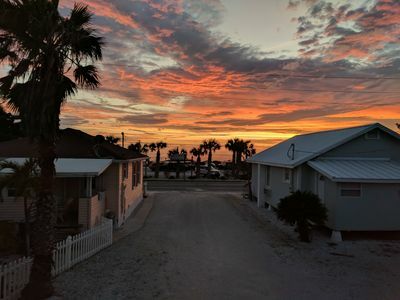 You’ll have a full washer and dryer in this rental along with both beach and bath towels. There is a central vacuum system installed in the home just in case you need a quick clean up. Head outdoors into your own pool paradise. 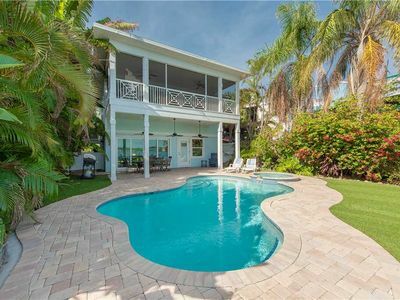 This Anna Maria Island beach rental has a heated pool and spa situated in the well-manicured patio area. One of the nicest features of “Costa Lotta” is the close proximity to the beach. You’ll be just a flip flops walk away with only one road to cross, yet less than two blocks total distance. 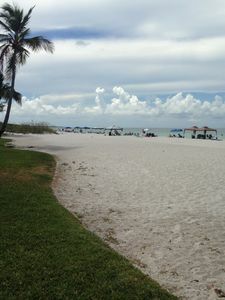 Anna Maria Island has some of the nicest beaches you’ll find on Florida’s gulf coast. 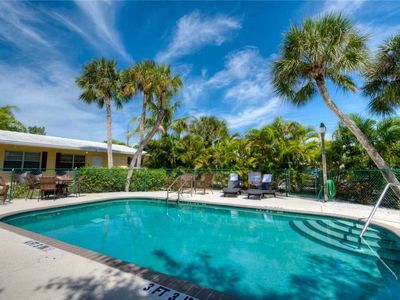 Not only are you just a short stroll to the beach, but you’ll be within walking distance to shopping, restaurants and free trolley stops too! Welcoming ground floor condo. Steps from RAB pier. Walk to the beach. 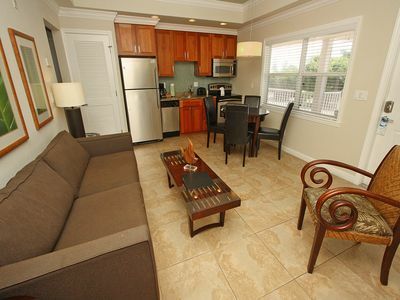 Mermaid Cove - Resort living with all the comforts of home.